Also, the Church has always allowed Catholic States to apply the death penalty. In the papal territories themselves, of which the pope was the sovereign, it was applied until 1870, just two months before Piedmontese troops took over the Eternal City and ended the Pope’s temporal dominion. In 1929, when the Lateran Treaty established the Vatican City State, the death penalty law was imposed on anyone who tried to kill the pope. That law was abolished by Paul VI in 1969. It is thus clear that the moral licitness of the death penalty has always been accepted by the Church from its earliest days, both in doctrine and practice. There may be divergences as to the prudential appropriateness of applying this penalty in certain circumstances or concrete cases; not, however, regarding its legitimacy in principle. In that sense, in 2004, there was a disagreement among US bishops about denying Communion to politicians who supported abortion and euthanasia. Some prelates claimed that, to be consistent, they should apply the same measure to those who supported the death penalty, since John Paul II had expressed opposition to its application today. A memorandum from the Congregation for the Doctrine of the Faith to the Archbishop of Washington, signed by then-Prefect Joseph Cardinal Ratzinger, made it clear that support for abortion or euthanasia cannot be equated with support for the death penalty. Pope Francis’s present statement, as well as previous ones along the same lines indicate a clear rupture with the Divine Revelation and the constant Magisterium of the Church, since it peremptorily denies, in doctrinal terms, the licitness of the death penalty in principle, and not just the appropriateness of its application in specific cases. Therefore, even if there is no solemn declaration of the ecclesiastical Magisterium defining the legitimacy of the death penalty, its infallibility must be accepted because of the Church’s long and unvarying teaching and approval in this regard. Moreover, to justify his innovative position, Francis was unable to find a single passage in Scripture, pontifical or Conciliar documents or in the works of the great treatise writers and Doctors of the Church. He attempts to corroborate his stance by making a truncated quotation of Saint Thomas which distorts the thought of the Angelic Doctor. Is a “More Legalistic Than Christian” Church the True Church? In addition to the seriousness of denying a truth contained in Revelation and constantly taught by the Magisterium of the Church, equally or perhaps even more serious are the reasons Francis gives to prove that the Church would have hitherto erred by accepting the death penalty. Therefore, at stake in the condemnation of the licitness of the death penalty is the very authority of Divine Revelation, without which the Magisterium of the Church loses its meaning, becoming the mere result of human intellectual elaboration and subject to the errors and variations inherent to all human reasoning. In more direct terms, the Magisterium would not have the divine guarantee and would be subject to the mutations of the times, as sustained by the Modernist heresy. In addition to Divine Revelation, the licitness of the death penalty is clearly assured by natural law. According to the laws of logic, if two propositions are contradictory and one of them is true, the other is necessarily false. Traditional doctrine affirms the legitimacy of the death penalty, while Francis’s new teaching denies it. These are, therefore, contradictory propositions and cannot be harmonized. As a result, the new teaching does not constitute a “harmonious development of doctrine” in relation to the preceding Magisterium but rather a rupture with it. The campaign to abolish the death penalty began in the eighteenth century, based on the philosophy of the Enlightenment, especially on the optimism of Jean-Jacques Rousseau, and later, on utilitarianism. Today, the main argument against it is based on an erroneous conception of human dignity, a position subscribed to by Francis. In this speech he follows the same line of reasoning as in other pronouncements: the criminal should not undergo capital punishment because he never loses his dignity even if he commits most heinous crimes. 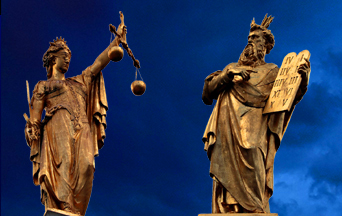 This argument is basically flawed because it fails to take into account the difference between ontological dignity, which derives from human nature and thus cannot disappear, and moral dignity, which is acquired dignity resulting from the conformity of the person’s actions with right reason and Divine law. When he intentionally practices evil, a criminal loses this moral dignity. Another serious shortcoming in Pope Francis’s pronouncements against the death penalty, shared by other abolitionists, is to consider only one aspect of punishment—correcting the wrongdoer and preventing him from committing new crimes. “Universalism” is the theological error that all people will eventually be saved no matter what kind of life they lead, and therefore, that Hell is empty. If there is no eternal punishment for those who practice evil, why avoid it? The gates are open to complete amorality. This helps us to better understand the liberalism of Amoris Laetitia. “Address of His Holiness Pope Francis to the Delegation of the International Commission Against the Death Penalty,” Dec. 17, 2018, http://w2.vatican.va/content/francesco/en/speeches/2018/december/documents/papa-francesco_20181217_commissione-contropena-dimorte.html. Cf. Charles Journet, The Church of the Word Incarnate (London-New York: Sheed and Ward, 1955), 281-3; E. Thamiry, s.v. “Mort (Peine de),” Dictionnaire de Théologie Catholique (Paris: Letouzey et Ané, 1929), vol. 10, Second part, cols. 2500-8; Avery Cardinal Dulles, “Catholicism & Capital Punishment,” First Things, 112, Apr. 2001:30-35, http://www.firstthings.com/article/2001/04/catholicism-amp-capital-punishment; Luiz Sérgio Solimeo, “The Death Penalty Is Needed To Understand Divine Justice and the Dogma of Hell,” TFP.org, Aug. 18, 2018, https://www.tfp.org/the-death-penalty-is-needed-to-understand-divine-justice-and-the-dogma-of-hell/; Luiz S. Solimeo, “Is the Death Penalty Contrary to the Gospel?” TFP.org, Oct. 18, 2017, https://www.tfp.org/death-penalty-contrary-gospel/; Edward Feser and Joseph M. Bessette, By Man Shall His Blood be Shed (San Francisco: Ignatius Press, 2017); Edward Feser and Joseph Besette, “The Church Cannot Reverse Past Teaching on Capital Punishment,” Crisis Magazine, https://www.crisismagazine.com/2016/church-cannot-reverse-past-teaching-capital-punishment; Edward Feser, “Capital punishment and the infallibility of the ordinary Magisterium,” The Catholic World Report, Jan. 20, 2018, https://www.catholicworldreport.com/2018/01/20/capital-punishment-and-the-infallibility-of-the-ordinary-magisterium/. 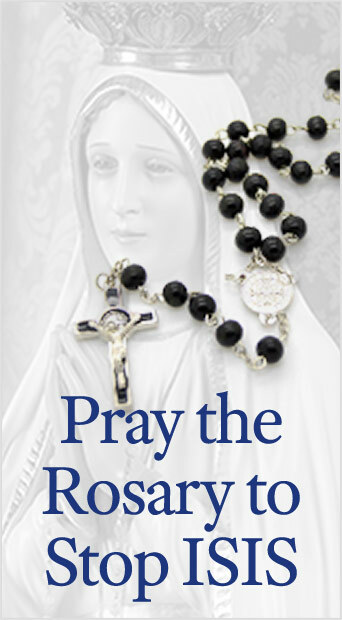 https://www.ewtn.com/library/curia/cdfworthycom.htm, accessed Jan. 2, 2018. Josephus A. de Aldama, S.J., Mariologia, in Sacrae Theologiae Summa (Madrid: Biblioteca de Autores Cristianos, 1961), 3:418, quoted in Arnaldo Vidigal Xavier da Silveira, Can Documents of the Magisterium of the Church Contain Errors? Can Catholic Faithful Resist Them? (Spring Grove, Penn. : The American Society for the Defense of Tradition, Family and Property – TFP , 2015), 15. See José Antonio Ureta, Pope Francis’s “Paradigm Shift” (Spring Grove, Penn. : The American Society for the Defense of Tradition, Family and Property, 2018). Avery Cardinal Dulles, “Catholicism & Capital Punishment,” First Things, 112, Apr. 2001:30-5, http://www.firstthings.com/article/2001/04/catholicism-amp-capital-punishment. Summa Theologica, II-II, q. 64, a. 2, c.
Summa Contra Gentiles, bk. III, ch. 146, “That it is lawful for judges to inflict punishments,” no. 4, https://dhspriory.org/thomas/ContraGentiles3b.htm#146. Summa Theologica, II-II, q. 64, a. 2, at 3. Pius XII, “Ai Partecipanti al Congresso Internazionale di Istopatologia del Sistema Nervoso,” Sept. 14, 1952, Discorsi e Radiomessagi, 15:328. Victor Cathrein, S.J., Philosophia Moralis (Barcelona: Editorial Herder, 1945), no. 735, obj. 3, Rep.
Pius XII, Discorsi e Radiomessagi di Sua Santità Pio XII (Vatican: Tipografia Poliglotta Vaticana), 15: 352; The Major Addresses of Pope Pius XII, Vincent A. Yzermans, ed. (St. Paul: The North Central Publishing Company, 1961), 257. We use Yzermans’ translations. Fr. George William Rutler, “Pope Francis’ new comments on the death penalty are incoherent and dangerous,” The Catholic World Report, Dec. 18, 2018, https://www.catholicworldreport.com/2018/12/18/pope-francis-new-comments-on-the-death-penalty-are-incoherent-and-dangerous/. This entry was posted in Catholic Perspective, News Commentary and tagged Amoris Laetitia, Catholic doctrine, Catholic teaching, death penalty, Divine Revelation, doctrine, Holy Scripture, modernist heresy, Moral Dignity, Natural law, Ontological Dignity, Pope Francis, right to life, rupture, Thomas Aquinas, Universalism by Luiz Sérgio Solimeo. Bookmark the permalink.